Top plate and yoke assembly: AISI 1045 drop froged steel. Large top late provides ease of stability and strength. 3/4" nut and bolt king pin. 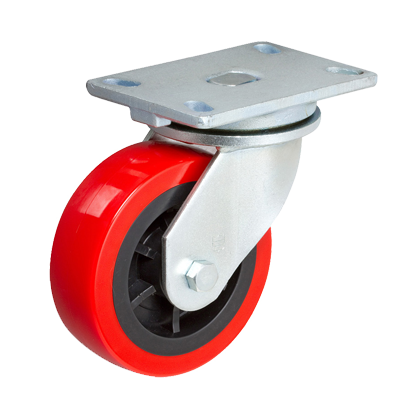 • Zerk fittings in wheel and swivel beaings. 1/2" diameter axle and lock nut. Zerk fitting for lubrication in wheel and swivel bearings.